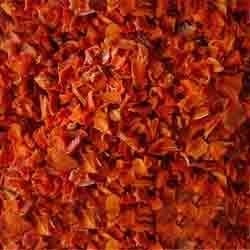 We offer high quality Dehydrated Vegetables to our esteemed customers. These vegetables are highly demanded by different clients who are associated with food processing industries to prepare various exotic dishes. They are hygienically packed to retain their nutritional value and transported very safely to the clients. The vegetables are procured from renowned local cultivators and are widely appreciated for their freshness and high quality. Our expert professionals supervise the entire process to ensure that the it is in compliance with industry set quality standards. We are engaged in offering very high quality Dehydrated Carrots to our esteemed customers. The product is processed and dried as per industry laid norms and is widely in demand these days These carrots are highly demanded by different clients who are associated with food processing industries to prepare various food items such as gazar ka halwa, pickles and many other products. They can be used to make dishes or can be taken in salad. The carrots are tested several times on various parameters before delivery to the customers. They are very hygienically packed and transported very safely to the clients. They are known for their very high nutritional values and are suggested by various doctors as a good health remedy. We deliver very high quality Dehydrated French Beans to our clients. These are procured from the most renowned cultivators and are very hygienically packed to ensure safe transportation. The product has high nutritional values and is recommended by doctors for good health. The beans we offer are extensively used by various households, restaurants, food points and hotels for preparing varied food items. Before the final delivery of the product, a team of quality analyzers examine these beans on varied parameters to ensure 100% client satisfaction. 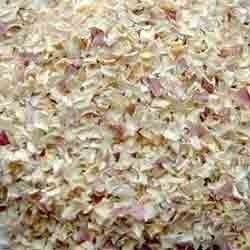 Our firm is engaged in supplying high quality Dehydrated Onions to our clients. These are procured from very reliable cultivators and are then processed and dried in adherence with industry set quality standards. 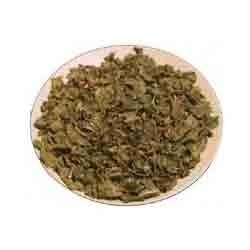 It is used in hotels, food courts and many other places for enhancing the flavor of the cuisine. The product is widely appreciated for its high quality and delicious taste. No preservatives or additional colors are added to the product so that the high quality product is delivered to the customers.